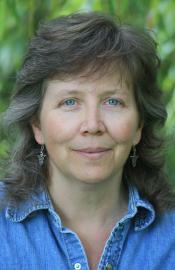 Maureen Brownlee was born and raised on the western slopes of the northern Rockies. She has lived and worked in various BC communities, always returning to her mountain home. Though largely self-taught, her writing has greatly benefited from the tutelage of talented writers who sustain western western Canada's creative writing workshops. Loggers' Daughters is her first novel. Loggers' Daughters Preview in "The Rocky Mountain Goat"
Loggers' Daughters in the Working Forest! Tim Brownlow was born in Dublin, Ireland. He was co-editor of a major Irish literary journal before coming to Canada in 1970. After teaching at several universities in Nova Scotia, he came to B.C. in 1991, taking up a position at Malaspina University-College in 1992, from which he retired in 2006. He is now an Honorary Research Associate of the college. As well as scholarly publications, he has published three volumes of verse; the most recent, Climbing Croagh Patrick (Oolichan, 1998), was praised by W. J. Keith for its “civilised sincerity.” His work appears in a number of anthologies, both scholarly and literary, including The Penguin Book of Irish Verse; The Critical Perspective (Chelsea House, New York); Poems for Clare (UK); In Fine Form: The Canadian Book of Form Poetry (Raincoast Books); and Apples Under the Bed (Hedgerow Press). 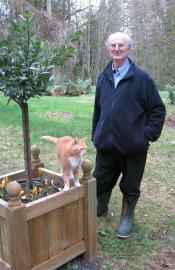 His work is featured in the June 2007 edition of Poetry Ireland Review. Aaron Bushkowsky is an award-winning playwright, film-maker and poet. His book of poetry, ed and mabel go to the moon, was nominated for the Dorothy Livesay Poetry Prize, and he has been playwright in residence at Touchstone Theatre and the Vancouver Playhouse, as well as resident film-writer at the Canadian Film Centre in Toronto. He is completing his MFA in Creative Writing at UBC while teaching playwriting at Langara College’s Studio 58. He lives and writes in Vancouver. At night he dreams of space travel. Margo Button’s first book, The Unhinging of Wings (Oolichan, 1996) won the prestigious Dorothy Livesay Poetry Prize (B.C. Book Prizes) and was short listed for the Gerald Lampert Memorial Prize (League of Canadian Poets) and is now in its fourth printing. The book became a highly acclaimed play written by Michael Bianchin and produced by Welcome Wood Productions in Kingston, Ontario. Her second book of poems The Shadows Fall Behind was published in 2000. Her bilingual poem “Interviews at the Elders’ Palace” won Arc’s Confederation Poets award for the best poem published in 2002. She lives in Victoria on Vancouver Island.